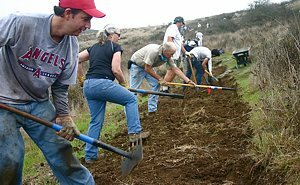 You might not know that in addition to being President of CORBA, I am also the chair of the Conejo Open Space Trails Advisory Committee (COSTAC), a Thousand Oaks city-appointed committee to the Conejo Open Space Conservation Agency (COSCA). So while I ride all over the Santa Monica mountains and beyond, COSCA is IMBY. 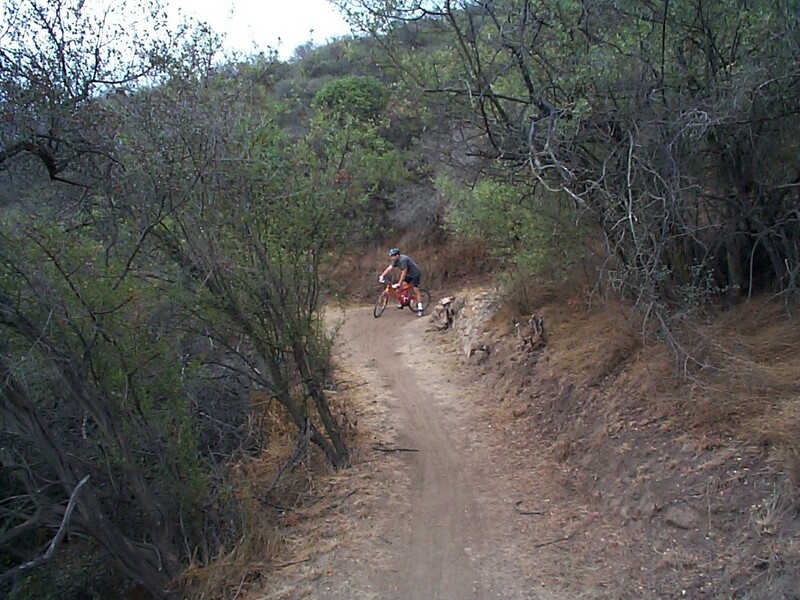 At our most recent COSTAC meeting, a member of the public brought to our attention that several local residents who use the Santa Rosa Trail off Lynn Road on a frequent basis have been seeing increased speed and discourteous behavior by mountain bikers coming downhill on the trail. The Santa Rosa Trail just so happens to be the closest trail to my house and I literally ride it at least once a week, if not more. So this is really IMBY! One of the more disturbing reports was that riders are not slowing down while passing hikers and other mountain bikers. All I can say is, please slow down on Rosewood Trail and the Los Robles Trail as well (aka Switchbacks or Space Mountain). Rangers will be increasing their presence on these routes and reminding people to slow down when approaching corners and around other users. While they are not usually prone to writing citations, they do have the authority to do so. Please respect COSCA’s shared use policies and ride respectfully around other users on these and all shared use trails. Thanks! We’re proud to announce that CORBA has been nominated for inclusion in the Mountain Bike Hall of Fame. The Hall of Fame, located in Crested Butte, Colorado, celebrates the contributions of the many who have shaped and guided our sport’s history. 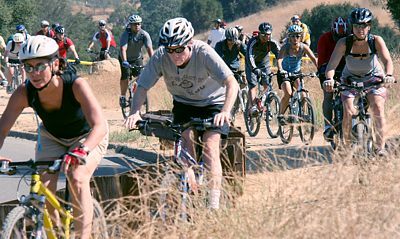 Among CORBA’s past and current board members, volunteers and founders are three current inductees in the Mountain Bike Hall of Fame. Kurt Loheit, Jim Hasenauer, Dr. Al Farrell and the late Charlie Litsky have all been inducted for their roles as individuals, but all contributed to CORBA’s growth and successes, along with numerous other stalwart advocates. This nomination could not have come at a more appropriate time, as CORBA celebrates 25 years of mountain bike advocacy in 2012. We sincerely appreciate and are deeply honored by Dr. Al Farrell’s nomination, which can be viewed online on the Mountain Bike Hall of Fame web site. Past inductees, press and current voting members of the non-profit Hall of Fame are sent ballots to vote on this year’s nominees. Membership is $20 per year, and allows you to vote on the current nominees. When in Crested Butte, a visit to the museum is a great lesson in the sport’s history. Each year between three and seven individuals or groups are inducted from a slate of nominees. Voting will take place over the summer, with the 2012 induction ceremony to be held at Interbike on September 21. Of course we’d appreciate your vote, and are honored to be listed alongside several other well-deserving nominees in the Advocacy category. Next CORBA Kids Club ride will be Saturday June 2 at Sullivan Canyon (Brentwood side). See our Rides Calendar for details. 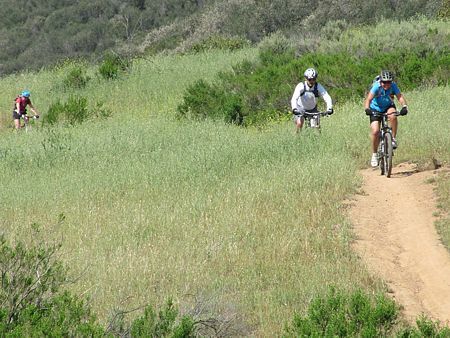 The next Beginners ride will be on Sunday June 10 at Pt Mugu State Park (ocean side). See our Rides Calendar for details. Welcome Michelle as our new Beginners Ride leader! Join CORBA, the Mount Wilson Bicycling Association, the National Forest Foundation and the Boy Scouts of America on National Trails Day, June 2nd. We'll be working on the Gabrielino trail between redbox and switzers, and/or the Strawberry Peak trail. REI is sponsoring the event by providing lunch. For more details and help out, visit our online registration page. In response to a lawsuit, the four Southern California Forests are proposing amendments to their 2006 plans. They are proposing new Backcountry Non Motorized Recreation zones as well as new Recommended Wilderness designations. Mountain biking is not allowed in Wilderness or Recommended Wilderness areas. We have concerns about the Fish Canyon Trail (1GW05) and the Burnt Peak Trail (1GW02) in the Angeles National Forest. These run generally north-south right in the middle of what would be the new Wilderness area. We heard from several people that these trails may be overgrown and quite deteriorated. We need to know if riders have ridden them and are currently riding them. Despite their current condition, if they become Wilderness, bikes will be excluded and the trails will likely never be restored. We might lose a significant future opportunity for a ride in a wild landscape. If you have information about these trails, let Steve Messer (steve@corbamtb.com) and Jim Hasenauer (imbajim@aol.com) know. There are also many changes including Recommended Wilderness Proposals in the Cleveland National Forest, the Los Padres National Forest, and the San Bernadino National Forest. If you are concerned about changes in these forests, it will be necessary to attend Forest Service meetings. Mountain bike advocates are monitoring the meetings and will soon have talking points for your comments. The deadline for comments is June 11, 2012. To see more information on this topic, please visit our full blog article. Detectives said the thieves scanned Craigslist and Facebook to identify targets, making away with designer racing bikes worth $2,000 to $15,000 each. They allegedly preyed on the growing online community of Los Angeles bike enthusiasts who share photos about rides and their latest bike acquisitions on various websites and look for parts on Craigslist. Angeles National Forest supervisor Tom Contreras and District Ranger Mike McIntyre, on Wednesday announced that they were hoping to get approval from the regional director to open approximately 50% of the Station Fire closure area. It only requires a review and a signature, and we hope to have that on Thursday [May 24], in time for the Memorial Day weekend. The area slated for opening includes everything west of Fall Creek fire road (3N27), which descends from Mount Gleason Road to Big Tujunga Canyon. Trails in the newly opened area include Stone Canyon, Condor Peak, Trail Canyon and Mendenhall Ridge. Some work has been done on Stone Canyon, Condor Peak trail, and Trail Canyon trail, though their readiness for bicycling is unknown. If these or other trails are not in safe enough condition for public use, the trails will be signed as closed, even though the area is technically open. Read our blog article for more details, and see the list of open and closed trails. Saturday June 2nd is the next skills clinic.